Sistema Shyam Teleservices Ltd’s chief executive does not rule out the possibility of a deal with Tata Teleservices. 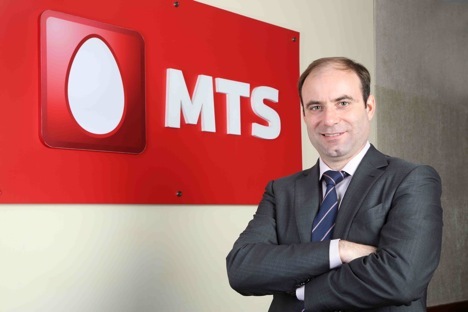 The Indian unit of AFK Sistema, Sistema Shyam Teleservices Ltd (SSTL) is open to merger and acquisition talks, its chief executive, Dmitry Shukov told the Economic Times in a recent interview. “SSTL is a part of huge financial conglomerate, Sistema, and it is open to M&A possibilities in India,” Shukov told the paper. “We are interested in such M&A stories but, as of now, don't have much concrete information to share." Sistema Shyam is the Indian arm of Russian oil-totelecom conglomerate Sistema JSFC. He told the paper that SSTL was open to talks with Tata Teleservices. He told the paper that it was “premature to discuss specifics.” With Japan’s NTT DoCoMo looking to offload its stake in Tata Teleservices, there has been market talk about a three-way deal between Aircel, SSTL and the Tata group company. Sistema has already asked the Indian Government for approval to raise its stake in SSTL to 100 percent. The Russian company owns 74 percent in the joint venture at the moment, while Rajasthan-based Shyam Telecom owns the remaining 24 percent. It is believed that the Russian company would increase its stake in a few steps instead of a single go. Sistema is looking at purchasing more spectrum in the future and wants to increase the scope and area of its services. SSTL is unhappy India’s telecom regulator over the starting price of airwaves in the 800 MHz band, which is used typically by CDMA operators and is expected to be auctioned this year. It has bitterly opposed the regulator's recommendation to start the auction for 1 MHz of airwaves at $447.5 million, instead suggesting that starting price should be around $303.6 million, which is 80 percent of the market price for airwaves in the 1,800 MHz band as discovered in the February auctions. Sistema also has big plans in the LTE and 4G segments, which offer a great deal of potential in a country where there are over 800 million mobile phone connections and a burgeoning market for smart phones.